It's a drizzly morning in Santa Monica. Worse, a car nearly clips British actor Colin Firth as we cross the steep on-ramp that leads down to PCH. Not the most auspicious start to an interview. But Firth, in a display of sangfroid worthy of types he frequently portrays onscreen—we might call them reserved, he has described them as “quintessentially repressed”—never breaks his stride. His conversation doesn’t skip a beat either. “It’s nice to (a) walk in this city and (b) walk in it when it’s raining,” Firth, 47, says. Mark Darcy, the lawyer he plays in the Bridget Jones films, couldn’t have put it more judiciously. He may be too modest. 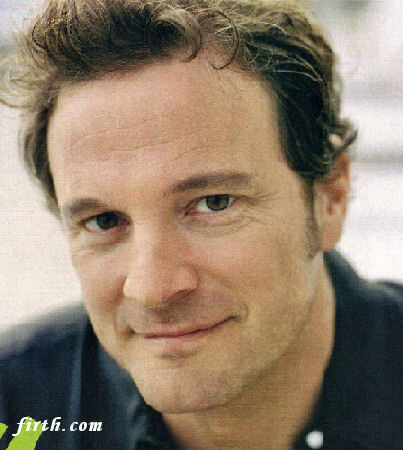 Jane Austen was not considered a huge box-office draw until Firth’s performance as the snobbish but meltable Mr. Darcy in A&E’s 1995 adaptation of Pride and Prejudice made him a transatlantic heartthrob. (The same role—uptight but upright—was the basis of his character in Bridget Jones.) This spring he appeared in Then She Found Me (Helen Hunt’s directorial debut) as the fiery single-father love interest of Hunt, an adoptee determined to have her own child. (That agenda is not entirely strengthened by encountering her birth mother, a motormouthed talk-show host played by Bette Midler.) Firth gets his shot at portraying a conflicted middle-aged child in When Did You Last See Your Father?, opening this month. Based on the prizewinning memoir by British author Blake Morrison, the film, directed by Anand Tucker, examines a son’s ambivalent relationship with a dying but still larger-than-life parent. Firth’s own mother and father are alive, and he speaks of them affectionately, but he says the film roused powerful emotions. Later this summer he’ll star in the movie adaptation of the musical Mamma Mia! alongside Meryl Streep, followed by The Accidental Husband with Uma Thurman. We have reached the Broadway end of the palm-shaded park, site of our destination, the Camera Obscura. Firth looks faintly alarmed. Most tourist hot spots don’t involve dodging a clutch of aluminum walkers in a busy senior center. A century ago when these optical devices were popular seaside attractions, this camera—essentially a room with a periscope in its ceiling—was housed in its own cottage in the park overlooking the pier. Today the only entrance is through the center’s lunchroom and up a flight of stairs. The camera is no place for the claustrophobic: In the darkened room nothing is visible except a huge, waist-high, seemingly floating image of the world outside—palms, sand, Ocean Avenue motels. In his role as the Dutch painter Jan Vermeer in Girl with a Pearl Earring, Firth demonstrated a box-size version of a camera obscura to a dazzled Scarlett Johansson. The actor, still in his diffident mode, claims his research “has really all gone out of my mind.” He then proceeds to explain that the movie device was probably misnamed, that it was based on a machine invented by a friend of the painter’s, that Vermeer didn’t copy the image projected by the lenses but used it as an instrument of perspective, that the image we are seeing here is reversed, and that lenses, hence photography, make people look closer than they are. He’s been pacing as he talks, unfazed by the dark, and has discovered the captain’s wheel that swings the rooftop periscope in a 360-degree arc. One twist, and the world at our waists is spinning. “That’s more exciting,” he says. Firth has been reading Ask the Dust, John Fante’s novel of 1930s L.A. He was struck by the desperation of Fante’s writers and actors and, he says, “the massive expectations to succeed. There’s no point in even telling people back home about any disillusionment—they’ve seen the pictures, they’ve seen the sunshine.” As if on cue, the clouds thin. Casa del Mar is just ahead, its stately facade rising above the narrow street like an image from a noir film. “It’s amazing how much history there is in such a short space of time in a place like this,” Firth says. He’s not just referring to this ambience-drenched block. “I could live on American culture alone,” he says. “I mean I’d miss an awful lot of other things, but just let me have blues and jazz and American movies and American literature; I wouldn’t consider myself impoverished.” The accent may be English, but the enthusiasm is almost Californian. For Firth that’s proved to be the best of both worlds.